Hammerpond Kennels Ltd ("We") are committed to protecting and respecting your privacy. This policy sets out the basis on which any personal data we collect from you, or that you provide to us, will be processed by us. Please read the following carefully to understand our views and practices regarding your personal data and how we will treat it. By visiting you are accepting and consenting to the practices described in this policy. For the purpose of the General Data Protection Regulation (the GDPR), the data controller’s address is Hammerpond Kennels, Hammerpond Road, Plummers Plain, Horsham, West Sussex, RH13 6PE. 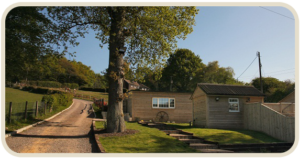 Post: Hammerpond Kennels, Hammerpond Road, Plummers Plain, Horsham, West Sussex, RH13 6PE. You may give us information about you by filling in forms on our website service or by corresponding with us by phone, e-mail or otherwise. This includes information you provide when you submit an enquiry on our website, subscribe to our services, search for information, and if we were to provide services that allow you to participate in discussion boards or other social media functions on our site, enter into a survey or when you report a problem with our site. The information you give us may include your name, address, e-mail address and phone number, financial information, and other personal information. To take steps, at your request, to enter into a contract to provide our services. For example, we may process your personal information to discuss our services with you or provide a quote for our services; Group companies may use your data and they will contact you by telephone and any subsequent means that you may agree with them. If you do not want us to use your data in this way, or to pass your details onto other Group companies for marketing purposes, please note that you have the right to object to this use of your personal information and to restrict our use of your personal information. We may share your personal information with any member of our Group if they exist, which includes any other current or future subsidiaries, holding company and its subsidiaries, as defined in section 1159 of the UK Companies Act 2006 should they exist. Debt recovery agencies for the purposes of recovering any outstanding service fees you may owe us. If Hammerpond Kennels or substantially all of its assets are acquired by a third party, in which case personal data held by it about its customers will be one of the transferred assets. Such as our lawyers, accountants and other professional advisers who, from time to time, provide us with professional services to ensure our legal and regulatory compliance. If you contract our services we will store your personal data for up to six years from completion of our services. This is to enable us to refer to our records and carry out a thorough investigation in the unlikely event that you want to bring a claim against us with the six year limitation period and to be able to provide company records if so required covering a six year period. or calling the ICO on 0303 123 1113.